Chances are, if you’re looking to buy shatter online, you’re not super new to the cannabis world. While you might be very familiar with the traditional and popular forms of marijuana, like bud or cannabis oils, shatter might be very appealing to you. And you’ve come to the right place to quench this curiosity. The cannabis concentrate can offer you a different experience that’s both enjoyable and beneficial. 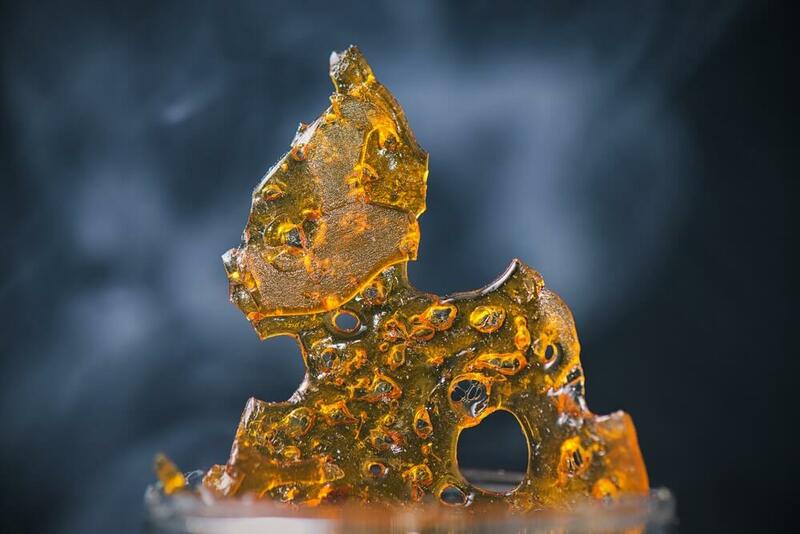 The time has come to expand your horizons when it comes to weed and enter the realm of shatter. Here’s the lowdown on all you need to know about this particular form of marijuana and some tips for buying shatter online in Canada. Before you go on buying shatter online, you first need to know what exactly shatter is. 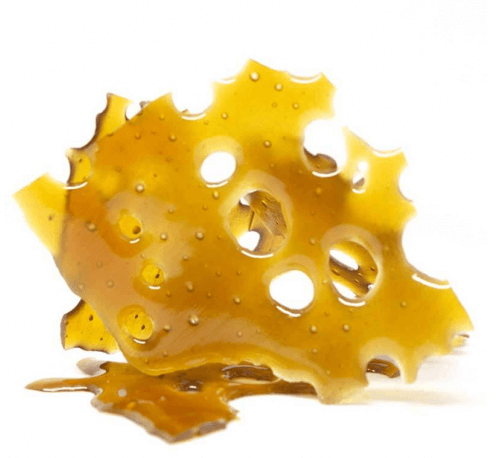 Shatter is a solid marijuana concentrate product with a translucent appearance. You’ll often see it in a golden or amber color and its texture is brittle—meaning it can break apart easily when tapped with a dab tool. It is widely known among experienced cannabis users who opt for concentrated extract forms of cannabis. 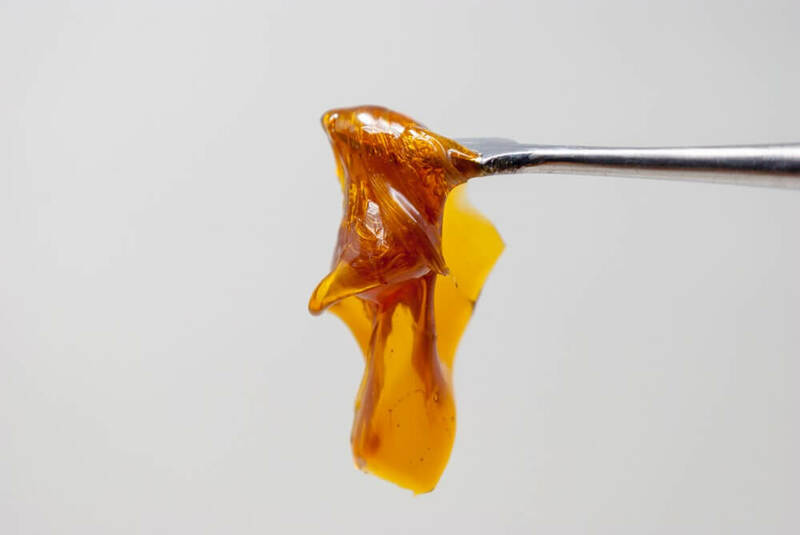 A solvent is used to extract the cannabis terpenes and cannabinoids from a marijuana plant to produce shatter, which makes it extra potent in its properties. Not all concentrates are made alike and you’ll notice when you look to buy shatter online that it is among many different types and forms of cannabis extracts and concentrates. Understanding the details that define each type of concentrate will help you become a more educated consumer which can translate into a better experience with weed. A good rule of thumb for cannabis consumers that aren’t as familiar with the world of weed concentrates is to know that the names of these concentrates typically allude to the consistency each individual one holds—hence the name crumble, budder, oil, wax, and shatter. Another point of difference between concentrates is if solvents are used in the process of making them. Cannabis concentrates that have been made using a solvent to extract cannabinoids and terpenes can be referred to as extracts—with tinctures, oils, wax and shatter being among the most popular extracts. However, concentrates that do not use solvents during processing are referred to as solvent-less concentrates and include kief, hash, and rosin. Shatter is typically easy to manipulate and considerably less messy when compared to other forms of concentrates. 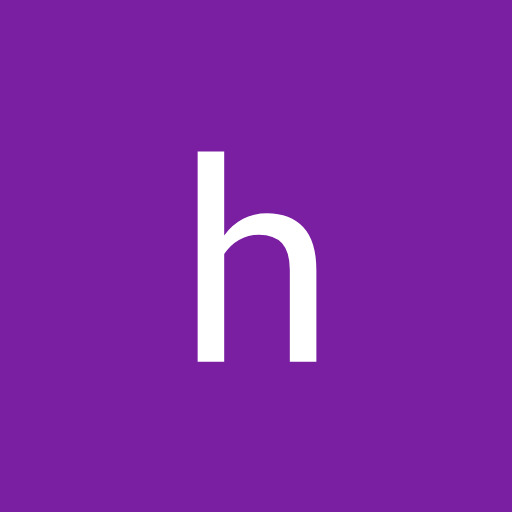 It is known to have a THC concentration that ranges from 70 – 90%, which makes it the purest form of cannabis among the variety of concentrates on the market. This form of concentrate is popularly taken in via the dabbing or vaporizing method, as well as mixed with weed flower when smoked. 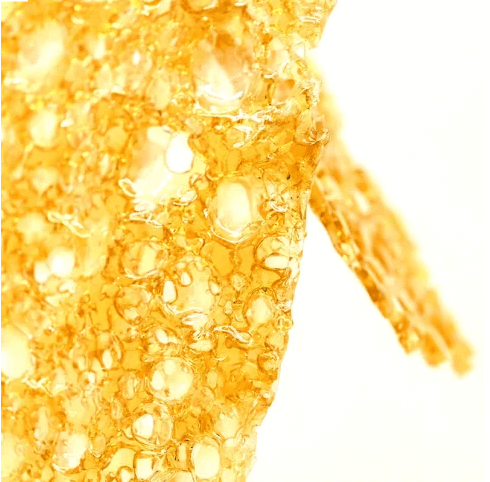 Over time and with exposure to its environment, shatter can morph into budder, which is a type of cannabis wax that holds a gooey consistency and more moisture. Once you’ve grasped the distinctions between shatter and other cannabis concentrates, the next step is to understand what defines quality in shatter. The following are a few characteristics and details that can set a good shatter product apart from a mediocre one. Look at the Quality of the Starting Material. This seems like a no-brainer, but it cannot be emphasized enough that the cannabis plant that is used to make shatter matters—a lot. Think about it. This is the product in which you will be extracting all properties a cannabis plant holds and packing them into a concentrate to experience its best attributes. When you buy shatter online, make sure you know that the dispensary you buy from is reputable and emphasizes the quality and care of their cannabis plants. A high-quality flower that has been properly cultivated and harvested will almost always ensure that the shatter product that comes out of it also upholds the highest-grade cannabis components. Don’t Judge a Book (or Shatter) by Its Color. 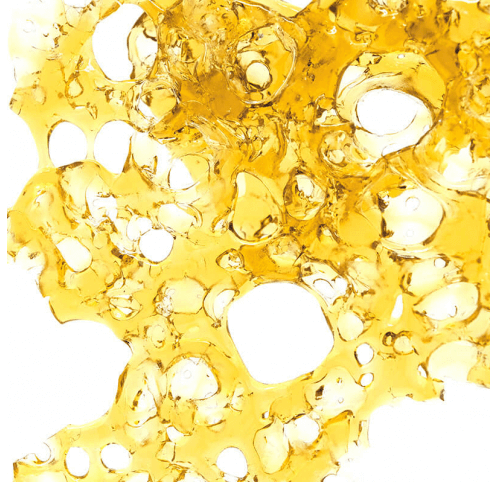 There’s a common misconception that the quality of shatter is reflected in its color. While the color of shatter does indicate how good shatter will be to a degree, it is not the ultimate deciding factor in the overall quality of the shatter itself. What color can tell you is the freshness of the trichomes in the shatter when they were being extracted. Trichome freshness, however, doesn’t actually have a direct link to the potency or flavor of the shatter you buy. For example, an amber colored shatter may indicate that a shatter was made with very fresh trichomes but these trichomes may have been prematurely harvested. Darker hued shatters might indicate that the shatter was made from more nourished buds, which may actually produce a higher potency. When it comes to buying shatter online, be sure to look at the product details to see exactly what you’re in store for. Check for Feel and Flavor. Once you buy shatter online or at a dispensary, the real way of finding out if it’s good or not is to essentially try it out. The shatter should feel sappy but should not have the same liquidness as oil. Additionally, when you receive the shatter, it should hold true to form and should not mold to the package or container it comes in. You can also smoke shatter to test out its quality. Good shatter will give you a smooth hit that does not irritate your throat or lungs. Try holding it in for a few seconds after taking a hit and if it diffuses easily throughout your lungs without hitch, this is usually an indication that you have purchased high-quality shatter. The smoothness in vapor is another sign that the shatter has been properly processed and has little residuals left from the solvents used during extraction. In terms of smell and taste, pay attention to the pureness of the flavor when you take it in and the aroma when you exhale. It should closely align with the description that was given with the product when you made your initial purchase. When it comes to buying shatter online, there are so many options to choose from, especially if you’re perusing all the top-notch cannabis products from Buy My Weed Online. One of our best-selling shatter concentrates is Space Queen. This top-shelf shatter is Grade AAAAA with 5 out of 5-star reviews from our customers. It’s known to produce an uplifting effect. You’ll enjoy a true sense of happiness and euphoria along with relaxation with Space Queen Shatter. Golden Pineapple is another top-shelf, Grade-AAAAA shatter from our dispensary. This one has received an overwhelming number of 5-star ratings. Its ability to consistently produce happiness as well as stimulate creativity among users keeps our clients coming back for more. 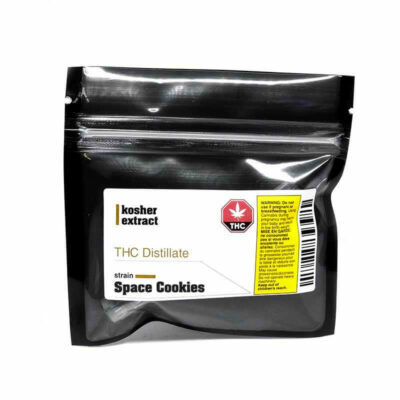 For a more calming shatter that’s also received top ratings, try Space Cookies. This top-shelf, Grade-AAAAA shatter is most known for its relaxing properties. It also helps stimulate your appetite and get a better night’s sleep. Choose Buy My Weed Online for All Shatter-Related Needs and More! When it comes to providing the highest quality cannabis products to customers, Buy My Weed Online does not disappoint. Not only have we been in the cannabis business well before the legalization of recreational marijuana in Canada, but our customers also trust us in all their marijuana-related needs. Whether it’s growing their knowledge on the different types of cannabis products out there, how our plants are cultivated or the process in which our concentrates are made, we are the go-to source for all things weed. If you are looking to buy shatter online, we are the dispensary to look to. Not only do we have only the best shatter extracts and product, but we also have the essential tools you may need to properly enjoy it. 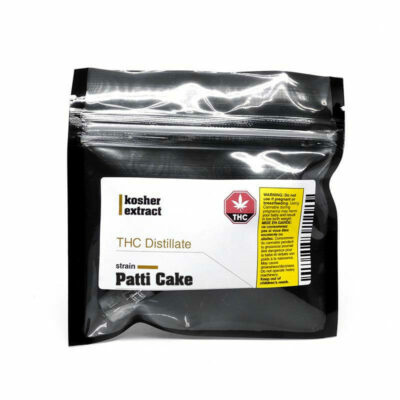 Feel free to browse our wide selection of shatter products and accessories, learn more about this special type of cannabis concentrate, or look at all the other types of concentrates and bud product Buy My Weed Online has to offer. Buy shatter online and more at Buy My Weed Online—your one-stop, pot shop for all cannabis needs in Canada! Been shoppinfor s fee years online this place is the best place to get your medical marijuana ptoducts! They are very efficient as well as super people to deal with! Gxcellentjob done here!! !